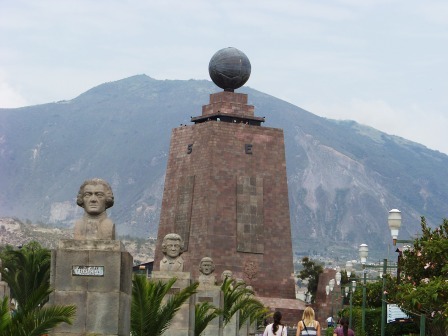 The Mitad del Mundo (Spanish for "middle of the Earth") monument, just north of Quito, was built to mark one spot where the equator passes through the country. This specific spot has become famous since it is said to be where measurements were first made (in the 1700s) confirming that the equator truly does run through the country. 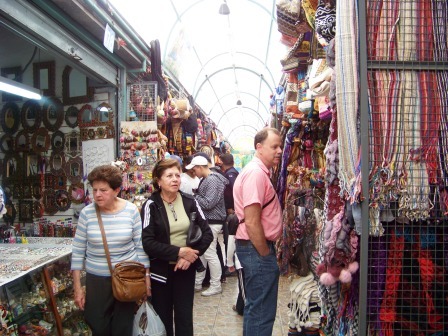 The monument is surrounded by several small museums and souvenir shops all of which form part of the complex. There are also several restaurants, a playground and a bullfighting ring. My favorite museum was one displaying many of the different insects found in Ecuador. Others had miniature scale models of Quito, Cuenca and Guayaquil. Some of the museums were only open at certain times. Kind of strange, but ok? From the observation deck of the monument, you get a great view of the surrounding area. Please note: there is an additional fee to enter the actual monument, on top of the fee to enter the complex. With the advent of modern GPS technology, we now know that the monument and accompanying equator line aren't exactly where they should be. It's about 790 feet (240 meters) off. Not off by much, but it is off. 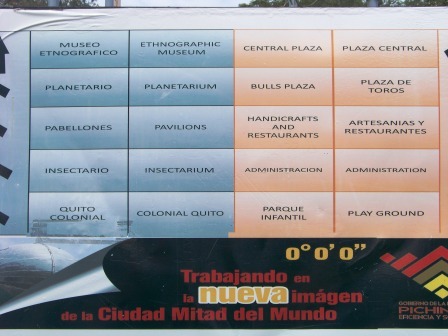 The nearby Intiñan Solar Museum claims to be on the actual equator, but it is also off. So is it worth the trip? 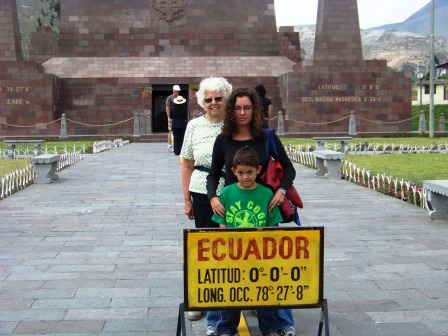 Well, if you travel north of Quito at some point you will cross the equator. 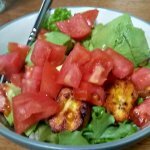 So why not have a great photo to document it? Standing at the line marking the equator is fun and the photo is a nice souvenir.